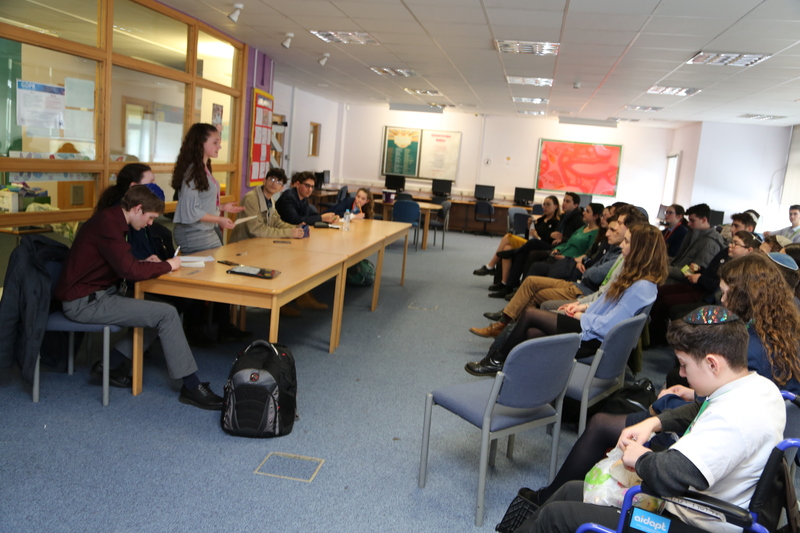 Following the success of ‘Visibility for Disability’ last year, JFS has hosted another full week of events focussed on promoting disability awareness and inclusion. The week was dedicated to Hellen Keller (Born in Alabama in 1880, a childhood illness left her both deaf and blind by the age of two. Despite this, she went on to become a prolific author and political activist). The butterfly continues to be the logo for this event. Butterflies symbolise growth through hardship, beauty and individuality. Staff and students were invited to decorate butterflies which were displayed as part of a bigger Art display in the main reception throughout the week. The LRC also hosted several sessions of ‘Mindful Doodling’ and ‘Butterfly Zen’. The intention behind ‘Visibility for Disability’ is to provide a platform for conversation around the topic of disability. This week was an opportunity for students, staff and members of the wider community to share their experiences, to educate and to inspire. The range of activities in the week reached every student and department in the school. Through a host of exciting events, a PSHE programme, and art exhibition, every member of the JFS community was represented and included. The LRC hosted a poetry open mic corner. We heard moving poems written by staff and students from across the school on the theme of living with disability. Topics included coping with anxiety, Aspergers and noise in the canteen, dementia, how others judge disabled people, being different, deafness and acceptance. We also heard from members of staff who read poems from inspiring people such as David Blunkett and the inspiration of the event, Helen Keller. This was followed by the highly entertaining teacher’s blind football match, in which staff members bravely volunteered to compete in this inclusive sport, much to the delight of all the students watching. We were also honoured to have special guests, Rabbi Mason, Dan Risner, and Andy and Sarah Merriman who gave up their time to speak about their individual and diverse experiences concerning disability. The dedicated team of students, led by Maya Robinson and Kate Levy, worked passionately to create an inclusive event, which focussed on embracing disability. This student led initiative, guided and mentored by Ms Padda, would not have been possible without the remarkable contribution by the following students: Max Morris, Saskia Rabin, Isobel Mcrae, Lauren Ettinger, Ollie Swindon, Sybbi Laubscher, Yael Berenblut, Maya Kastro, Asher Flenner, Roni Shirizly, Shuli Miron and Joshua Parks. Finally, we would like to thank everyone who donated to the ‘Visibility for disability’ charities – Parkinson’s UK and Donnie’s Fund – and to all those who participated in the week.